You’re engaged! Congrats! You are calling all your family and friends and telling them the good news! They start asking questions like; when is the big day? Did you find your venue yet? Do you have a theme? Whoa, we get it. You just got engaged and you are already bombarded with questions. It seems like you haven’t had time to breathe let alone start thinking about these details. 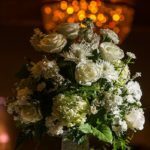 Below are our top 10 wedding tips to help you get started. Once the high of saying yes calms down its time to start planning. It is super important to stay organized during this process. To make things easier for you, purchase a wedding binder or notebook. This way you have all things wedding in one place. Always have a paper trail when it comes to contracts and email threads with vendors. Checklists are your friend. This helps you stay on track and eliminates the stress of “did I forget something?” Create deadlines for yourself. Sometime your venue has things due by certain dates so make sure you keep your calendar up to date. The best way to put your guests list together is by going in order of importance. It is okay to have a ‘B’ list. Weddings can be expensive so make sure you prioritize the people you definitely would be sad if they were not there. If you will not be heartbroken if they are unable to make it, then the ‘B’ list they go! When you start receiving your RSVPs, and some start coming back as decline, you can send out your ‘B’ invites. Now that you have your guests list, start researching how much weddings typically cost and how much you should be spending per person. You want to make sure you try and stay close to your budget, but make sure you have a contingency for unexpected expenses. Knock out two birds with one stone put everything on one card that earns you points for your honeymoon. Not sure what you like? Start looking venues on The Knot or Wedding Wire in your area. Look at a different variety of venues to help determine the “look” you want. Once you determine the look you want, set up tours with the venues you like. When providing a date, you may also want to consider having secondary dates in case your first date is booked. Some venues are all inclusive, and some venues have additional costs. When looking at venues, make sure you find out all the possible costs up front before signing a contract. 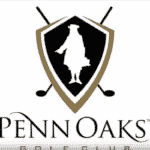 Here at Penn Oaks, we provide you all-inclusive pricing (yes, that does mean tax and service charge are already included)! Have you been to other weddings and liked who your friends used? Referrals are great because you can hear about the vendor first hand! Also find out who the venue works with a lot and who they like. It’s always nice to have someone who knows the lay of the land. Always check out the vendor’s reviews. You can learn a lot. A good rule of thumb for your wedding party is having the people who have been by your side for years. Keep it to the people who you can see standing by you, and you will stand by them in ALL stages of life. Do not feel obligated to have someone in your wedding if you were in theirs. Your financial obligations are different and you might have a different friend group. It is time to think about your dress! Pinterest is a great way to get ideas on the style of dress you would like. When showing bridal boutiques pictures of your style, they may not have that exact dress however they may have a very similar dress. When you know, you know (normally someone is crying)! Its time send out your save the dates! Normally you can send these out after you have gotten your engagement photos done (if you choose to do those photos). Etsy has great templates that you can normally get in a package that includes place cards, seating chart and invitations. You can also use Shutterfly or Vista Print. Calligraphy artists are a great way to add a personal touch to your save the dates and invitations. Check out our vendor list for who we recommend! Your Registry is a great way to help you get started in your new home or apartment. If you are already living together, you may want to upgrade some appliances that were originally hand me downs. Target, Bed, Bath & Beyond, Wayfair and Amazon are great places to help you get started. Don’t be afraid to ask for experiences! They are great for date nights! Check your state’s marriage license laws and makes sure you get it on time. This is one item we find a lot of couples forget about. Some take months, some only take a few weeks. When you receive your marriage license, make sure you make two copies and give them to people you trust. These are just back up’s in case you misplace yours. 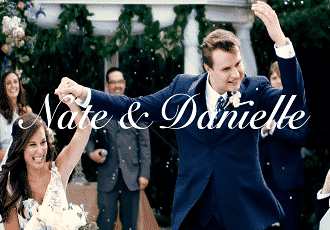 Hopefully these tips and tricks help get you started to prepare for the best day of your life! It will be, Simply Perfect.